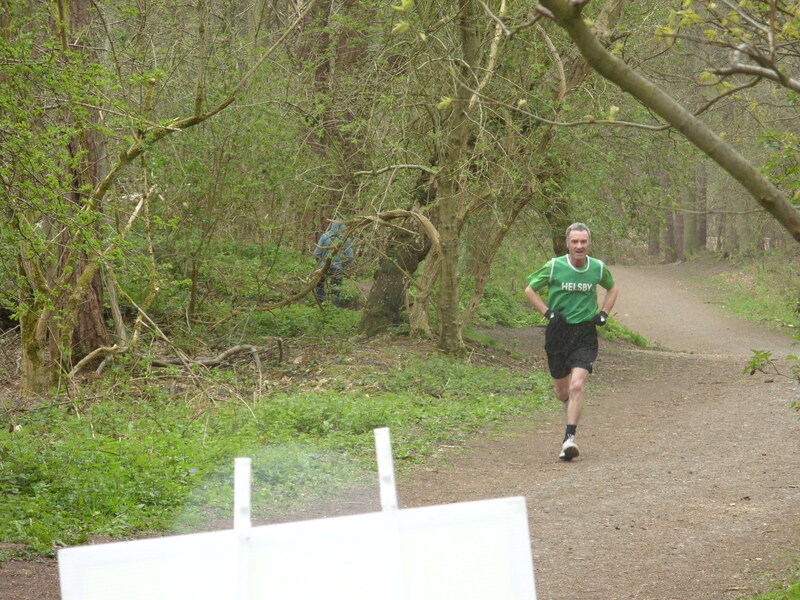 Delamere Park run was back on this week and Helsby’s Colin Bishop had a clear victory. Colin is in great form at the moment so it was nice to see him 1st at a local race in front of a local legend Kenny Begley. 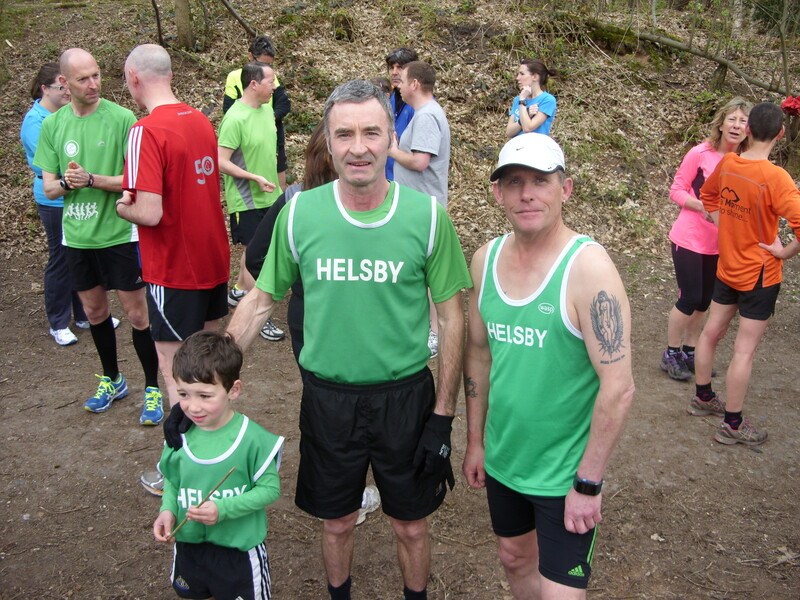 Six runners were out for Helsby with Helsby members also helping out on the day. Saturday afternoon was the North Wales Open Road Championship ten miler at Wrexham which was also a club road counter. Jayne Joy improved on last years’ time with another fantastic run to be 2nd lady home overall and knocking minutes off her PB. Helsby ladies also won the team prize. The ladies team consisted of Jayne, Carol Shaw and Alison Meakin. Congratulations! 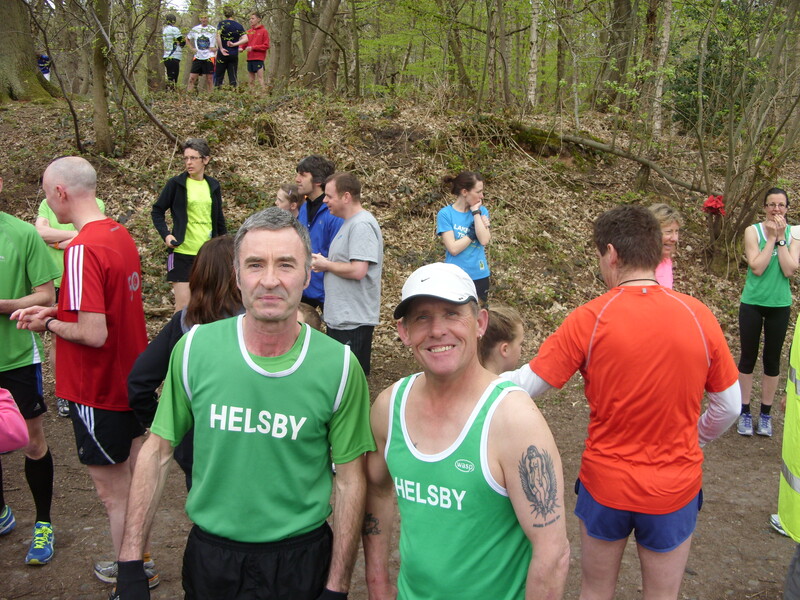 Steve Riley was first man home for Helsby followed by Geoff Shaw. Sunday was the Greater Manchester Marathon where Helsby’s Ivan Davies romped home first for Helsby in 824th overall followed by a fantastic sub four hour run by Helen Owens and then Dave Madders and John Thompson both just over four hours. Well done to all four Helsby marathoners. Remember there is now track training taken by Joe and Mario on Monday nights at Helsby High School at 6.30pm to add a little speedwork into your training. This Saturday sees our first fell counter of the season, the Llangynhafal Loop. Details on www.wfra.org.uk. This race is a tough but short loop round the Clywdians weighing in at 4.7 miles and 1750ft, a great afternoons fun for those wanting to try something a little different. Please note that this race is also in the North Wales Championships so expect a good field and car share will be preferable. It’s based at a pub so a refreshing scoop of ale or refreshments afterwards alongside a comedy prize giving is just as much part of the race as the running, so quite a good race even for spectators! No Delamere Park Run this weekend due to other events in Delamere. Thanks to everyone who let me know. Details of previous park run on website below. Sunday saw the London marathon where Colin Thompson ran a perfectly executed race to finish in one of the fastest marathon times for a Helsby runner for some time! Please find a few words from Colin below on his magnificent achievement. Colin’s time was in the top 20 for Cheshire and as far as I’m aware was the only runner for Helsby. I’m sure all of you will congratulate Colin when you see him. As mentioned last week this Wednesday is the final Border league of the season and I’m sure we’ll have some Helsby age category winners on the night. The race is a 7.15pm start on the Wrexham Industrial Estate. Unfortunately I’m still injured and will not be able to run but look forward to some good results for Helsby on the night! If anyone else has been racing this last week then please let me know as I can update the Helsby blog accordingly. Summer track training will begin from Helsby High School this coming Monday 22nd April at 6.30pm. It’s usually worth arriving a few minutes earlier to enjoy a light warm-up. Track sessions generally take half an hour and will be a variety of distances from 200m to a mile. The sessions will suit all abilities and everyone is welcome. Times are collated so you can look how you progress throughout the season. Summer training will be taken by Joe (and Mario) and over the last few years numbers have been steadily on the increase but there is always room for new faces. If the weather has been fair you can run in trainers but spikes/fell shoes/good trail shoes are recommended in the wet. Please note, this means there will be no training at Castle Park from now until Winter training begins again in October. Joe and the usual Monday nighters look forward to having you there. Chocolates and Easter eggs all demolished? Latest Park run results are available for Saturday. Eleven out for Helsby with Dave Feakes leading the charge for the men and Jane for the ladies, and both securing PB’s for the course alongside Mike Searle. 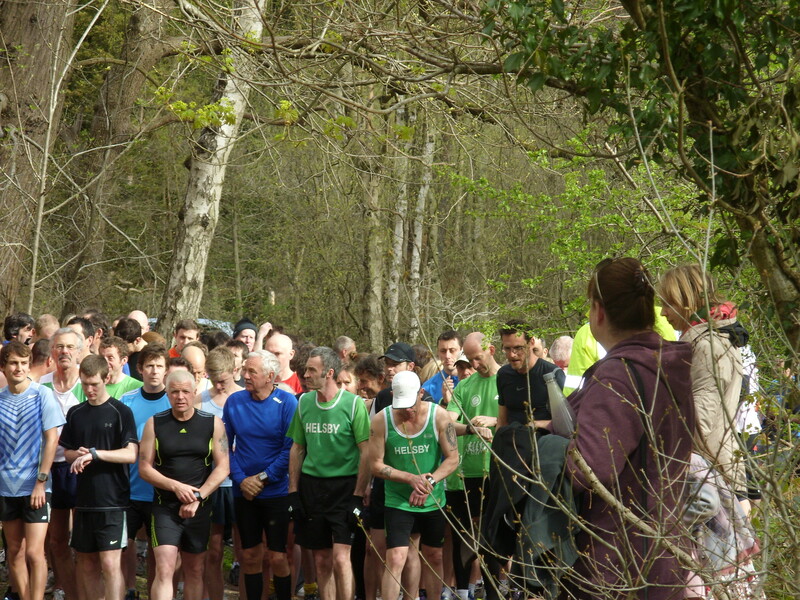 Nearly 100 runners were out on Saturday at Delamere. Sunday saw some fantastic results at the Bridge run. First home for Helsby and first v50 was Colin Bishop with an awesome time of 29 minutes, which is 3 minutes faster than last year so shows the sparkling form he is in, with other notable performances including Claire taking 6 minutes off her previous best for the course. Well done everyone who ran and especially to Ian Hilditch doing the double!